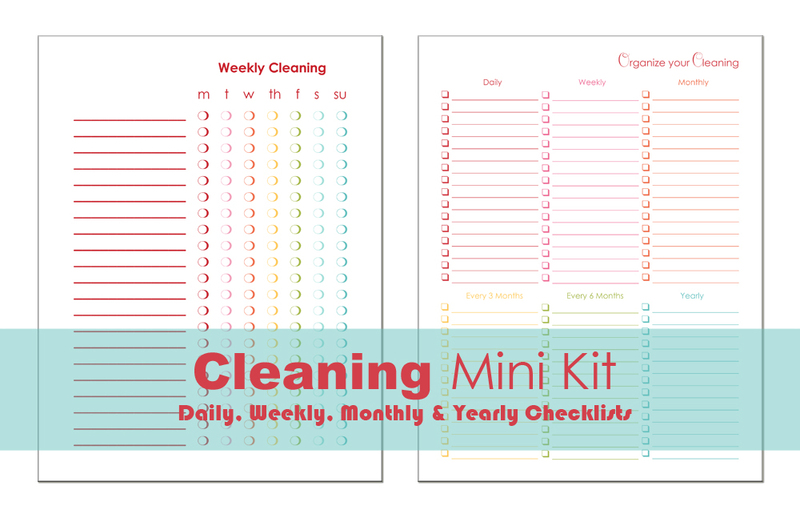 The “Cleaning Mini Kit” is a customizable 2 page pdf kit. You can jot down a cleaning schedule that fits your needs. It comes in 8.5 x 11 size for only $5.00. Organize your cleaning schedule with these blank checklists. You can use them over and over.